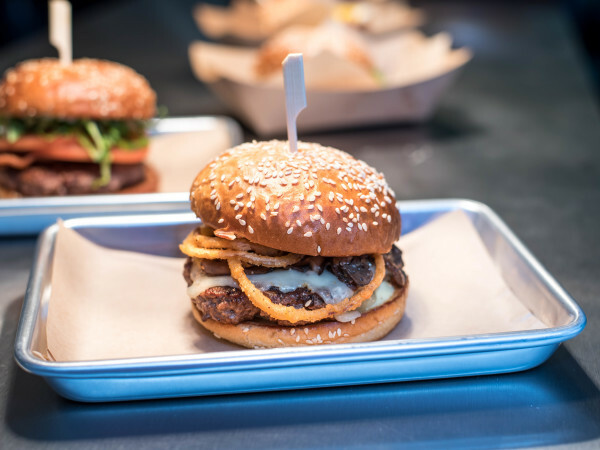 The P. Terry’s burger empire is expanding with two new restaurants: the first location in San Marcos and a location near Austin-Bergstrom International Airport. Patrick Terry, co-owner of P. Terry’s, says the burger chain will break ground soon on a dine-in and drive-thru restaurant at 515 Springtown Way in San Marcos. The eatery will be on the west side of I-35 between Aquarena Springs Drive and East Hopkins Street. 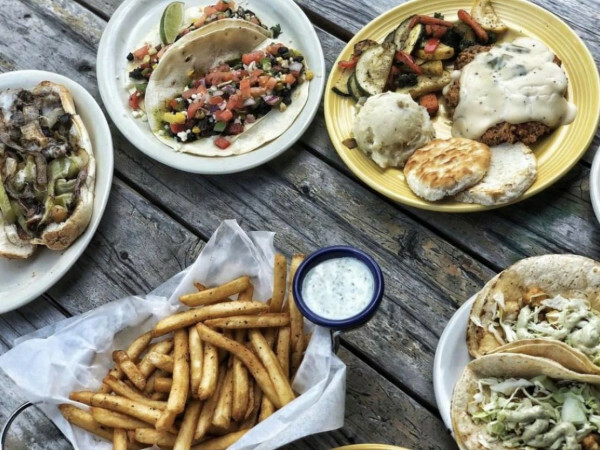 The San Marcos restaurant will be P. Terry’s first outpost in Hays County and the outpost farthest from the chain’s home base of Austin. It’s scheduled to open by the end of 2018, Terry says. Also on the menu is a drive-thru-only P. Terry’s just west of ABIA. The eatery, at 1551 Texas State Hwy. 71 near a Gatti’s Pizza joint, is on track to open early this summer, according to Terry. Once the San Marcos location opens, P. Terry’s will operate 16 locations in the Austin area. P. Terry’s launched in 2005. 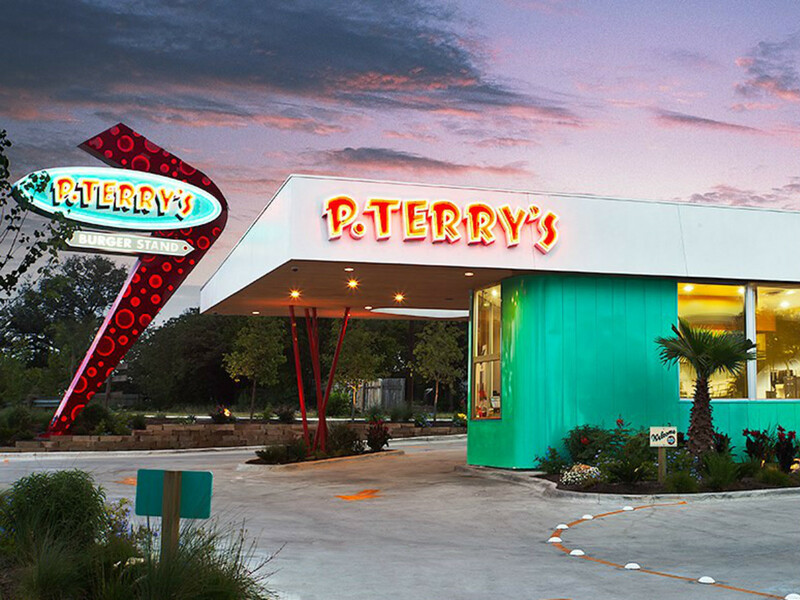 The new P. Terry’s are being designed by Austin architect Michael Hsu in the same mid-century style as their predecessors. Work also is underway on a second location of Taco Ranch, the new taco concept hatched by P. Terry’s. Taco Ranch is taking over a shuttered Taco Cabana at 517 W. Martin Luther King Jr. Blvd., near the University of Texas campus. The first Taco Ranch is at 5033 W. U.S. Hwy. 290 in Oak Hill. That location recently extended its hours. It’s now open 6 am-9 pm Monday through Friday and 7 am-9 pm Saturday. 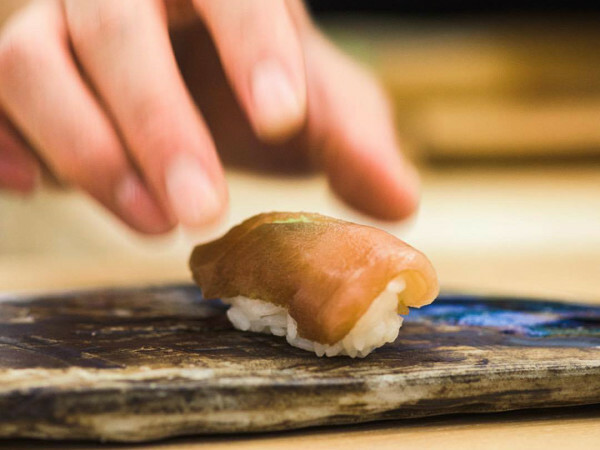 For now, the restaurant remains closed on Sundays. Hsu also is behind the design of the Taco Ranch restaurants.